Smart 3D profiling can save you a lot of time on welding and fitting. Partial Joint Penetration is a pipe to pipe connecting cut optimized for plasma and speed. A PJP saddle is used as a connection in non-dynamically loaded pipe connections where no fatigue occurs. You save on cutting costs. You save on welding and fitting time. There are no large cutting angles. There’s less heat input, shrinkage and deformation. This is also the reason why the steel construction industry shows a lot of interest in the PJP saddle. In the AWS D1.1 of the American Welding Society, various PJP connections are qualified and described. By using a PJP saddle, there’s no need for spacers to create the root opening and the slope, which makes it easy to fit. The large heel zone will fixate the correct position. HGG has optimized the PJP connection to make it even easier to fit. We eliminated the front opening in the heel, so it connects directly to the connecting pipe. 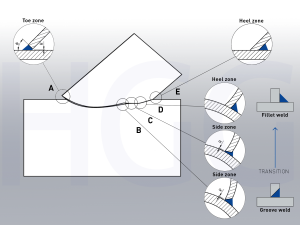 In the short transition zone, from toe to heel side, the transition and toe of the connection have a groove weld area, which makes full weld penetration possible where it is most necessary. 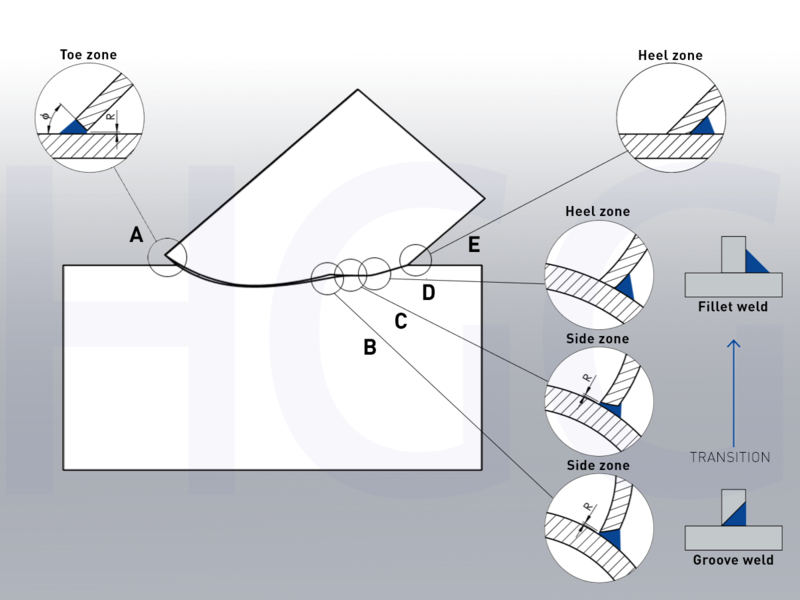 Fatigue tests have shown that both transition and heel zone aren’t the critical parts of the connection, making lower quality welds (i.e. fillet welds) sufficient enough, without affecting the strength of the structure. Research from Delft University of Technology in The Netherlands (TU Delft) shows that PJP connections have the same strength as CJP connections in situations where fatigue occurs. In particular, the cutting speed and savings on welding mean that, for example, crane builders choose to use PJP instead of CJP. How to Compensate for Plasma Beam?